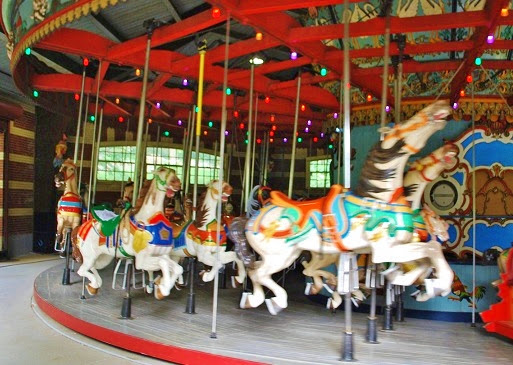 The Carousel in Central Park served as the cover art for The Catcher in the Rye. First Lines Second Thoughts is a look at the first lines of well known literary works. On second thought, do these opening words stand alone as poetry? Today we look at The Catcher in the Rye by J.D. Salinger (1919-2010). Published in 1951.
if you want to know the truth. Today, you can can go on a Holden Caulfield walking tour of New York City. In 1951, The Catcher in the Rye was considered scandalous for its profanity and sexuality. Still considered the benchmark for its portrayal of teenage angst and alienation The Catcher in the Rye was one of the most censored books in U.S. schools and libraries through to the 1980s. J.D. Salinger's first book still sells more than a quarter-million copies each year.